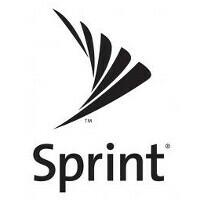 Sprint's unlimited data plan is going to cost new Sprint subscribers some more money starting on October 16th. On that date, the carrier's Unlimited Plan will cost $70 a month, up from the current $60. This does not affect current Sprint subscribers who are already paying $60 a month for unlimited data. Even if a current subscriber activates a new phone, he or she will continue to pay $60 monthly as long as they continue to meet plan requirements. The phone must be purchased using a financing plan that is compatible with the Unlimited Plan, such as Sprint Lease or Sprint Easy Pay. Even after the $10 a month hike in price, Sprint crows that its unlimited plan is still cheaper than T-Mobile's $80 unlimited offering. And of course, AT&T and Verizon do not offer unlimited data. If you're a qualified Sprint customer, turn in a working smartphone and pick up the 16GB Apple iPhone 6s for $15 a month. The Apple iPhone 6s Plus is $19 as month with that same trade-in offer. If you trade-in an Apple iPhone 6 or an Apple iPhone 6 Plus that you own in full, you can get the 16GB iPhone 6s from Sprint for $1 month or the 16GB Apple iPhone 6s Plus for $5 month. Combine that with the $60 Unlimited Plan, and you can have unlimited data and a 16GB iPhone 6s for $61 a month. Keep in mind that you are trading in a fully owned phone for a leased iPhone 6s or iPhone 6s. The lease expires in 22 months and at that time, you will have to either return the phone, upgrade it for the next iPhone model, or pay to purchase the handset. 70 bucks..i would've change carrier if sprint have good coverage. too bad. If Sprint and T-Mobile could compete with Verizon and AT&T on a coverage basis, they wouldn't offer unlimited data. T--Mo is catching up. Their first step was increasing their own full-unlimited plan by $10 last year. This year they introduced a soft cap to that full-'unlimited' plan, and if I'm correct made corporate discounted accounts ineligible for the aforementioned plan. I pretend Sprint and Verizon don't even exist. GSM phones only sorry. More phones to chose from, more no-contract companies to chose from. +++ That's exactly how I think. CDMA carriers are BS. My only options are GSM carriers in my mind. Where do you live? I live in NYC and it is the fastest network, and I have great coverage. I've also been to Philly, Seattle, Portland, Charlotte, and a lot of places in between and only hit one dead zone (which is also dead for Verizon customers). I've also used it in 5 countries with the free data roaming and that is AWESOME! I'm always curious as to where they have bad network areas so that I can make sure I stay away from them. If T-Mobile was trash, you should have had them for less than 14 days. That's the whole point of a return policy. T-Mobile also doesn't have contracts so you can walk away whenever. If you used a carrier for a full year that doesn't work for your needs, then you are an idiot. Stop complaining and go find something that works better. That's the whole point of having multiple carriers. So this is how they're making their money back with the $1 iPhone 6S promotion.